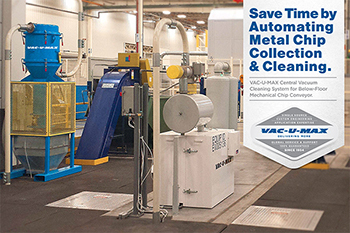 VAC-U-MAX Tube Hopper deposits collected chips onto existing below-floor mechanical chip conveyor. 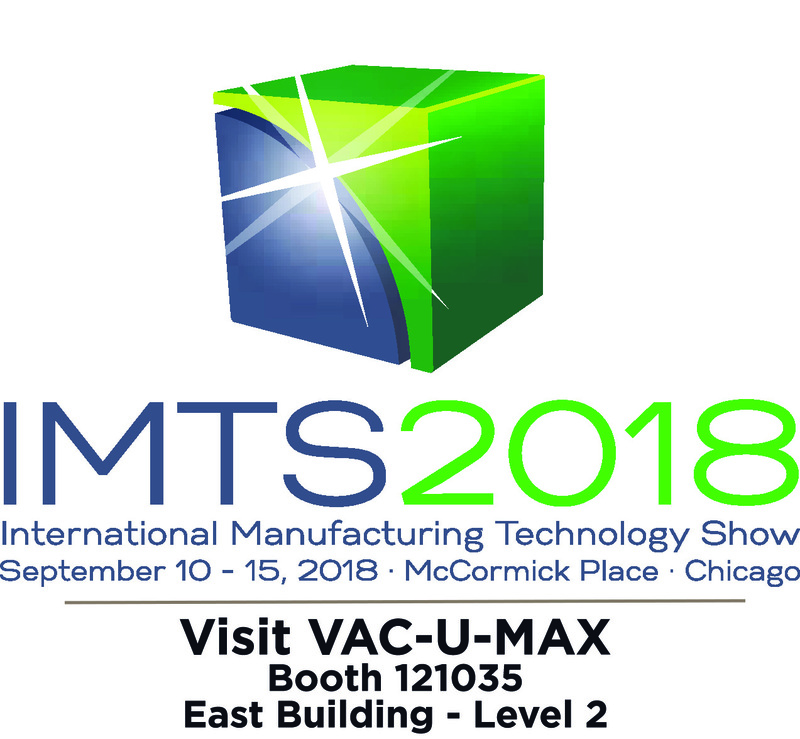 The vacuum system is used to manually clean the inside of the machine tool and large parts that are being machined---they have lots of nooks and crannies for chips and coolant to build up inside. 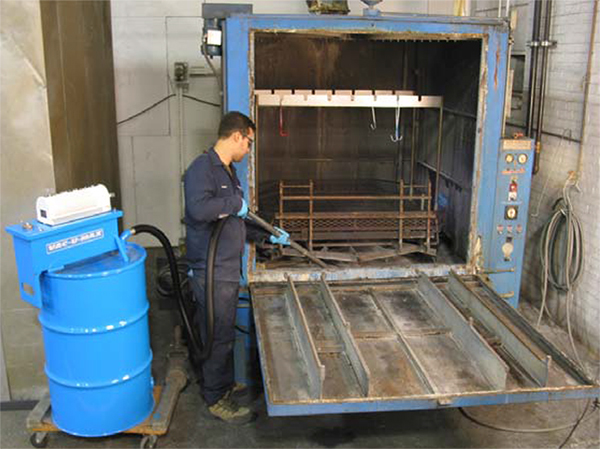 The Tube Hopper discharges the collected chips onto the chip conveyor which runs beneath the floor level. 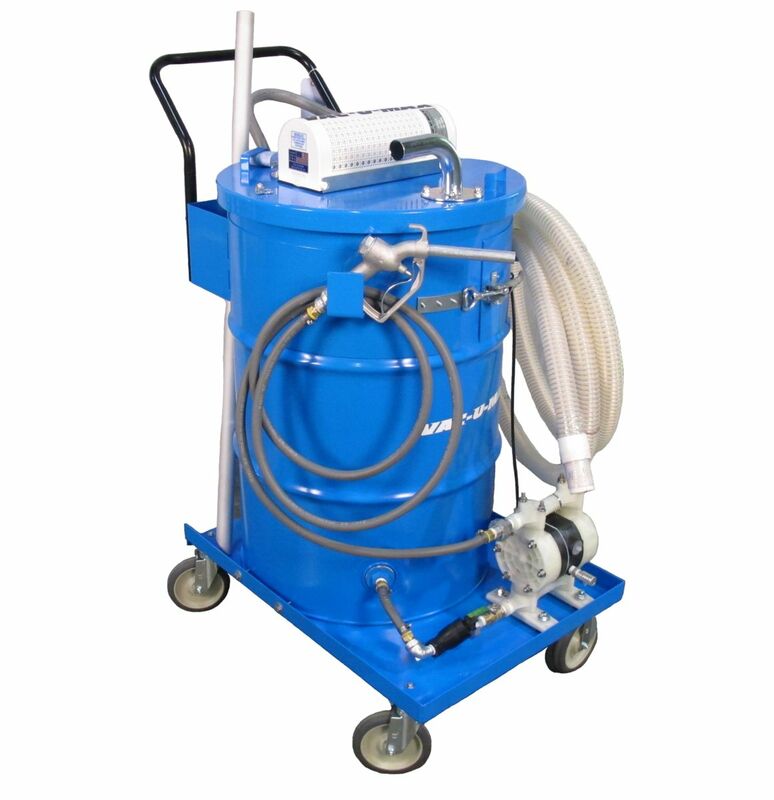 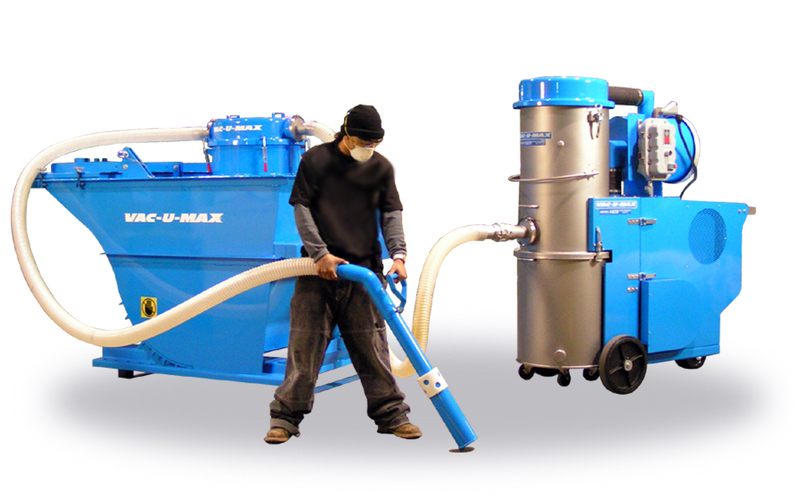 For more information about VAC-U-MAX’s full range of portable and central industrial vacuum cleaning systems, please visit www.vac-u-max.com/vacuum or email sales@vac-u-max.net.